Eric Holm now has just about everything he could want. But he started his career as busboy at a Sonny’s BBQ, and has never forgotten what it’s like to struggle. That’s one reason why he and his wife Diane rank among the region’s most generous givers. 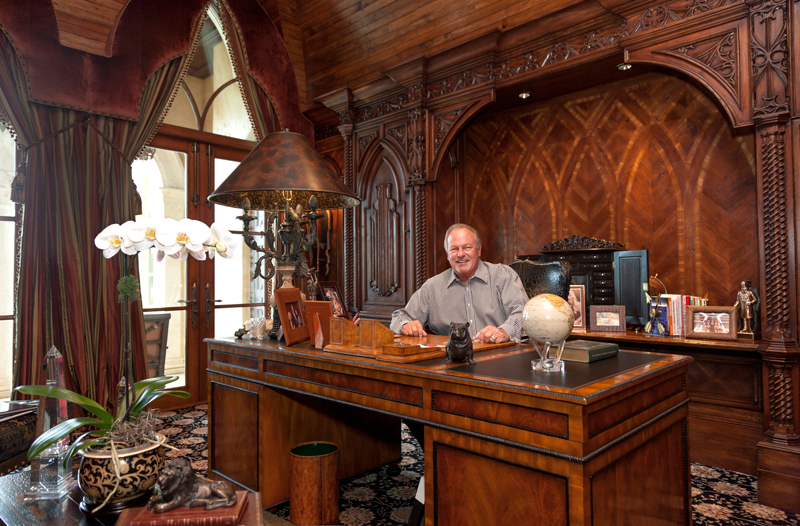 When Eric Holm makes the short commute from his lavish estate overlooking Lake Virginia to his two-story office building on West Morse Boulevard, he drives a Rolls Royce. When he conducts a site visit to a far-flung Golden Corral restaurant, he flies on a private Challenger 350 business jet. But Holm — who now seemingly has everything — says he’ll never forget what it was like to have nothing. The youngest of five children, Holm and his siblings were raised by a single mother who was a waitress at the original Sonny’s BBQ in Gainesville. He clung to that belief through tough times. After moving to Fort Myers, the Holm family received the fixings for several Thanksgiving dinners from the Salvation Army. “We needed the food,” says Holm, who adds that having holiday meals together offered his family not only nourishment but a heaping helping of hope. Through good times and lean times, he has been paying it forward for the past 26 years. Each Thanksgiving, a program Holm originated called “Helpings from the Heart” serves hearty turkey dinners to more than 20,000 people at the Salvation Army’s gymnasium on Colonial Drive. More than 1,000 volunteers and an assortment of corporate partners participate. Holm, who serves on the Salvation Army’s national advisory board, was also humbled in 2014 when he became a recipient of the faith-based service organization’s Evangeline Booth Award. The first Booth Award went to Rev. Billy Graham in 1999. That’s good company indeed. But the honor was well deserved, says Ken Chapman, who with his wife Jessie captains the Salvation Army’s Orlando Area Command. Holm, 62, is down-to-earth in a way that self-made millionaires can sometimes appear to be. But with Holm, say those who know him, the regular-guy persona isn’t an act. Through his various companies, Holm now owns 33 Golden Corral restaurants in Florida and Georgia — he’s the chain’s largest franchisee — as well as four Krispy Kreme stores in Jacksonville and a Fairfield Inn & Suites in Celebration. He plans to branch out with Jersey Mike’s, a sub shop franchise, and has developed his own concept, Colt’s Pig Stand (formerly Daytona Pig Stand), a fast-casual barbecue eatery in Daytona Beach. “I’m kind of going back to my roots with that one,” he says. 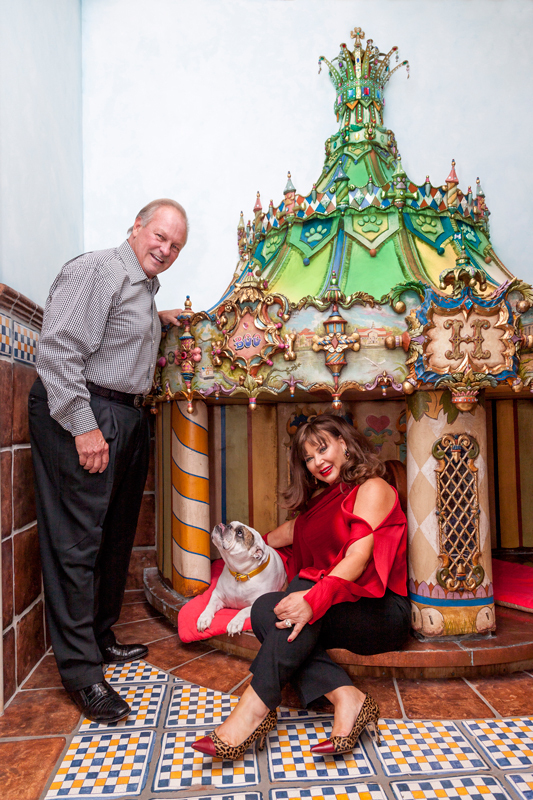 Eric and Diane Holm spend quality time with Boo, perhaps the world’s most pampered English bulldog, who has his own room and a custom-created, carousel-style doggie bed. But Holm is just as likely to talk about his failures as his successes. That’s in part because he believes failure — which, he notes, is inevitable for entrepreneurs — should be embraced as a learning experience. Holm enrolled early in the school of hard knocks. He spent three years in the U.S. Army, mostly at Fort Campbell, Kentucky, then worked as a store manager at a McDonald’s and then at a Wendy’s. For several years Holm was an independent restaurateur, operating Legend’s Dining and Dancing in Gainesville and Beachnutt’s Beach Bar and Grill in Gainesville, Ocala and Leesburg. Holm sold Legends and the remaining pair of Beachnutt’s and moved to Orlando, where he opened Angel’s Diner and Bakery in 1988. The nostalgia-themed eatery’s first location was on Lee Road. Eric and Diane Holm met more than 30 years ago. Diane Holm now runs the family business’s charitable and community involvement initiatives. Within a few years there were seven local Angel’s outlets. Holm started Helpings from the Heart in 1992, feeding people from the parking lots of his retro restaurants. Helpings from the Heart proved Holm to be a compassionate giver. But as a businessperson, he was soon to face major challenges — and seize new opportunities. Angel’s — billed as “a bad place for a diet” and renowned for its hefty portions — was a success. So much so that in 1993 Holm sold the rights to develop the concept outside Florida to Denver-based Vicorp Restaurants, a publicly held company that owns the Village Inn and Baker’s Square brands. But that same year Holm closed the Angel’s location at S.R. 436 and Aloma Avenue when road construction constricted traffic. The landlord sued and won a large judgment, which resulted in Holm filing for Chapter 7 bankruptcy in 1994. One of Holm’s backers was James Maynard, founder of Golden Corral, who suggested that Holm — who at the time also owned Bakely’s Restaurant and Bake Shop on Fairbanks Avenue — take control of four struggling Golden Corral outlets in Orlando. Mostly, the calls were good. Golden Corral is a well-loved brand that has grown and prospered while other buffet restaurants have lost their luster. The chain posted 3.7 percent sales growth last year even as its competitors experienced declines, bankruptcies and closures. In part, that’s because the Raleigh, North Carolina-based parent company has been privately owned since it was founded in 1973 and operates on a “100-year plan” that encourages reinvestment. 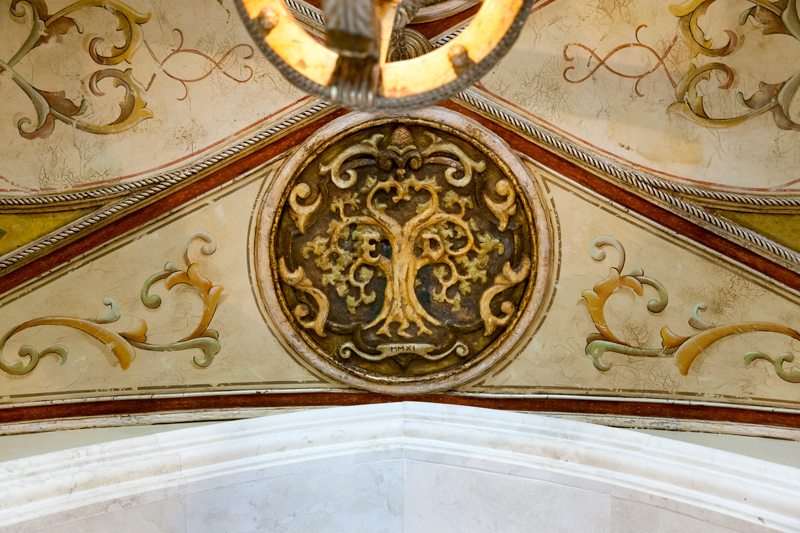 “We elevate the buffet experience,” says Holm. Golden Corral certainly offers good food and plenty of it at a family friendly price, with more than 150 items from which to choose. At dinner, it’s all you can eat — comfort food, mostly — for just $13.99 ($15.99 in tourist areas). Brunch is also available. Calorie-counters are welcome — there are plenty of soups and salads — but it takes a mighty act of will to avoid the desserts. The chocolate tower, for example, is all but irresistible, as are the dozens of varieties of pies, cakes and puddings. And no one — except, perhaps, your physician — will chastise you for returning a second time to the frozen custard machine. Holm’s personal favorite restaurants — apart from Golden Corral, of course — are Agave Azul, Cocina 214, Chevy’s Fresh-Mex, Christner’s Prime Steak & Lobster, Hillstone, Luma on Park, Luke’s Kitchen and Bar and Ruth’s Chris Steak House. Holm enjoys cooking — short ribs are his specialty — while Diane loves to prepare Italian dishes. 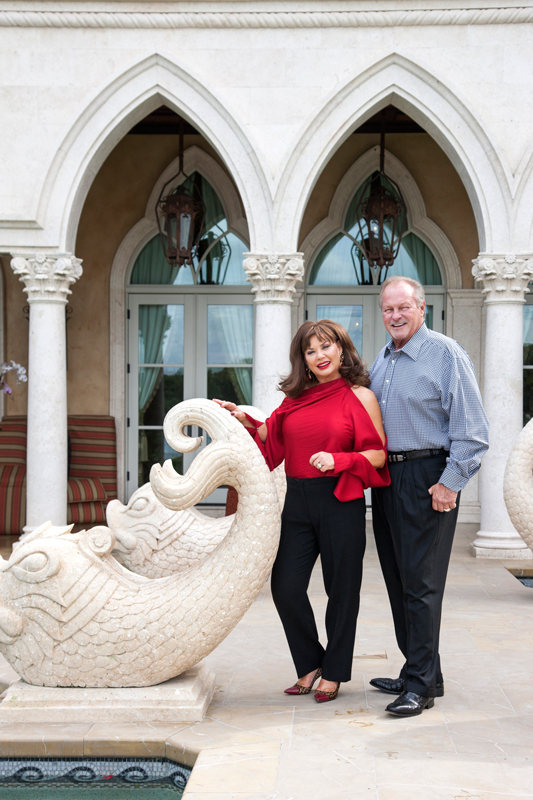 Life is indeed good for the Holmses, who frequently open their 13,000-square-foot home to not-for-profits, such as Camp Boggy Creek, for fundraising events. Diane Holm, vice president of the family business, manages its corporate events and philanthropic activities. She recounts meeting her future husband more than 30 years ago at Coconuts, a popular nightspot in Altamonte Springs. Diane Holm smiles when she recalls the days “when we didn’t have two nickels to rub together.” Today, in large part because they’ve experienced tough financial times, the couple cherishes the ability to give back. Daughters Danielle, Erin and Erica are grown with families of their own. So the Holmses share space with a pampered English bulldog named Boo, who has his own room complete with a doggie shower and a handcrafted carousel in which to sleep. Although Holm seems laid back, no one accomplishes what he has accomplished — or overcomes what he has overcome — without being driven to succeed regardless of the circumstances. Just ask him about retiring or even slowing down and you’ll find that his competitive fire still burns hotter than the barbecue pit at Sonny’s during the lunch-hour rush. 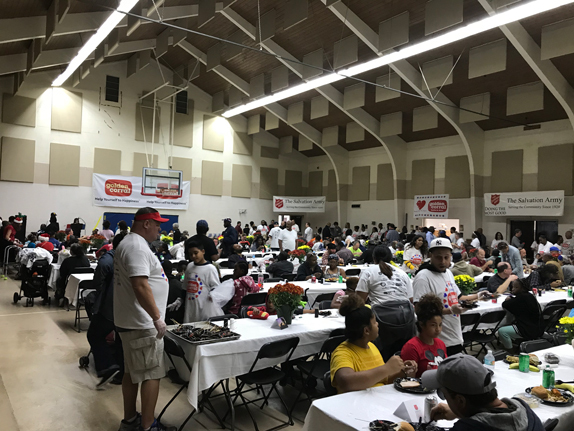 Thanks to Eric Holm, every year more than 20,000 people in need enjoy an over-the-top Thanksgiving meal at the Salvation Army’s downtown Orlando gymnasium. Properties: 33 Golden Corrals, four Krispy Kremes, one Marriott Fairfield Inn & Suites. In addition, Holm has recently assumed ownership of Keller Lawn Maintenance. Key Accomplishments: Having a successful marriage and raising our daughters. Best Advice Received: James Maynard, founder of Golden Corral and a business partner of mine when I was an independent restaurant owner, told me I should never run out of cash. Guilty Pleasure: Riding in my Challenger 350 jet. Favorite Movie: It’s a Wonderful Life. Community Activities: Eric Holm is on the board of directors of the Catholic Foundation of Central Florida and the advisory board of the Salvation Army Orlando Area Command. He also serves on the national advisory board of the Salvation Army. Eric and Diane Holm are members of the Winter Park Memorial Hospital (Now AdventHealth Winter Park) Family Board, while the hospital’s NCIU Unit — where their grandson, Eric, was born — is named the “Holm Dreamery” in recognition of their support. 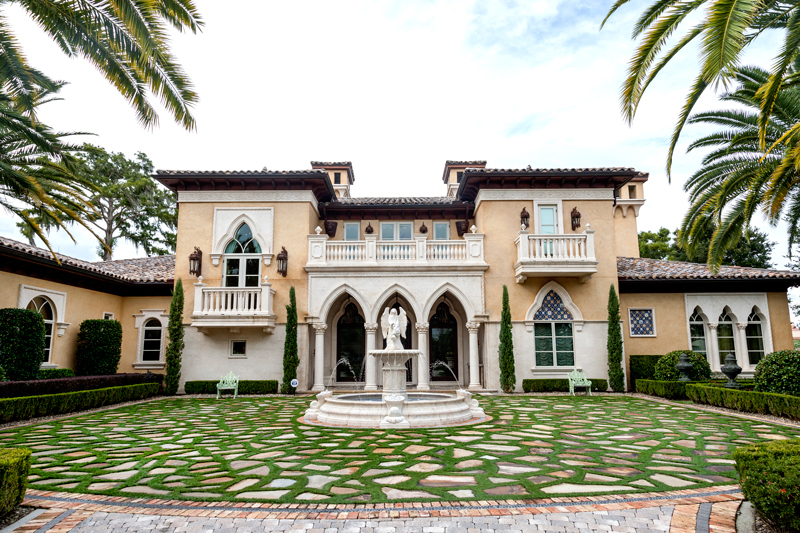 The Holmses also are sponsors of the 2019 Wishmaker’s Ball, which benefits the Make-a-Wish Foundation, and the 3rd Annual Heart of Fashion Show, held in conjunction with Nemours Children’s Hospital to benefit Camp Boggy Creek in Lake County. Diane Holm, who chairs the event’s organizing committee, is on the Camp Boggy Creek board of directors. She was recently presented the Catholic Foundation of Central Florida’s Outstanding Philanthropist Award.